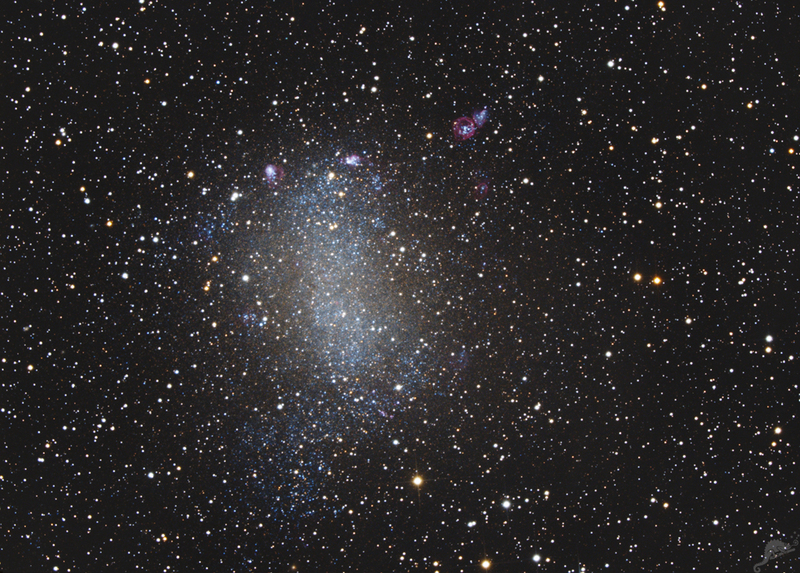 The galaxy NGC 6822 in the constellation Sagittarius is an irregularly shaped dwarf galaxy with a central bar. It was discovered on August 17, 1884 by Edward Emerson Barnard, known for his catalog of galactic dark nebulae. 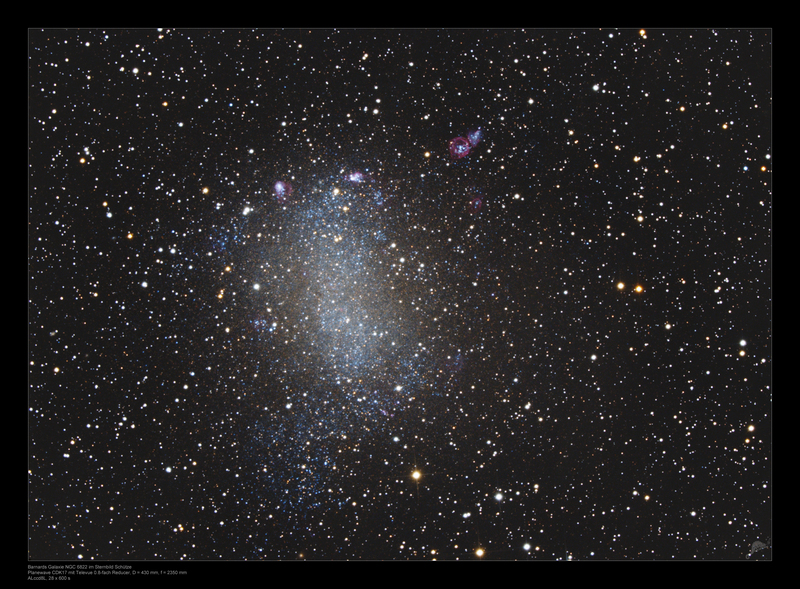 The galaxy is about 1.6 million light years away and after the two Magellanic clouds the third-nearest galaxy in the local group. NGC 6822 contains only 10 million stars, distributed over a diameter of 8000 light years. Due to the relatively short distance, a variety of stars and reddish glowing nebulaes can be dissolved in this image. Edwin Hubble investigated the galaxy in 1925 and was able to discover 11 Cepheids, from which he determined the distance to NGC 6822. 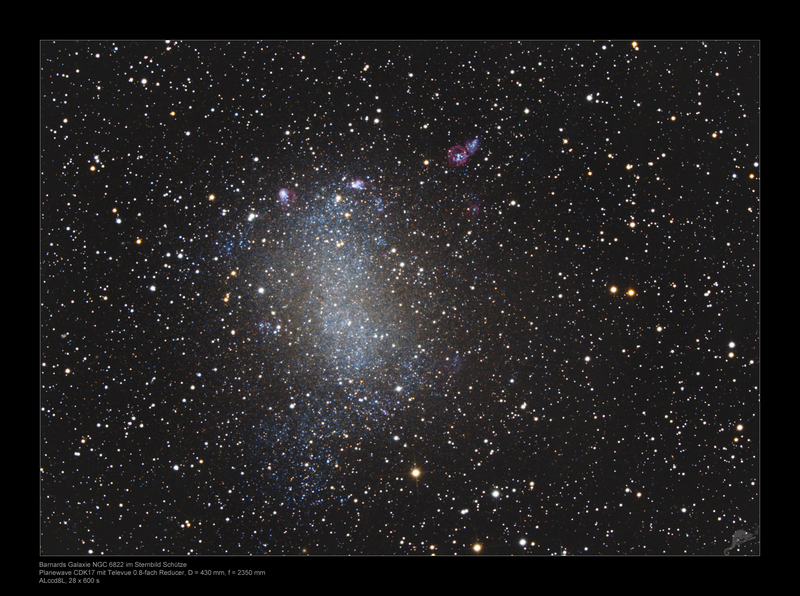 Barnard's galaxy is, along with M 31 and M 33, one of the first star systems outside of our Milky Way with a known distance. 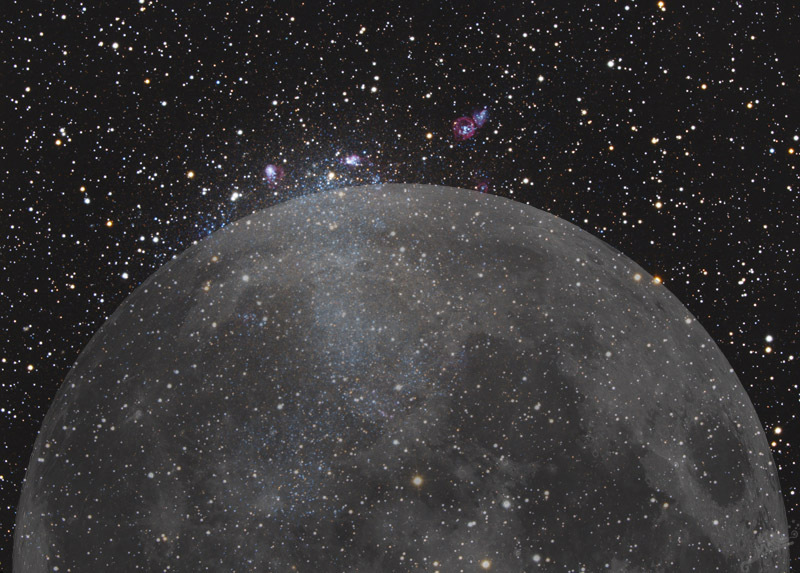 For a comparison with the size of the moon please click here or the thumbnail image right.